Matt Sergeant is a well-respected member within the Harcourts Group being their number 1 Sales consultant for 2011, 2012, 2013 & 2014. He is well known in the real estate industry for his focus on delivering the finest service to all his valued clients and achieving the best possible result in the current market place. Possessing a high level of integrity and an in-depth knowledge of the North/North East areas has helped thousands of owners with their next move and buyers with their dreams of becoming a home owner. With 7 years of experience, Matt has experienced the booming market and tough market, yet he still has passionate interest in people, property and business. Matt is a highly skilled communicator and negotiator and can handle any buyer type in a professional manner. Recently becoming the business owner of Harcourts Sergeant Property has allowed Matt to push further and create a ground-breaking office. Assisted by an experienced team who are enthusiastic and all share the same values. As per her loving, approachable and professional personality, Mersini has the foundation to create an environment in the office which is not only fun but also well-organised and supportive. With a background of real estate, management, administration, retail and hospitality, Mersini has the ability to assist in any situation that is thrown her way with ease. Not only is Mersini Harcourts Sergeant Property’s Office Manager, she is also the supporting wife and business partner of Matt Sergeant. Being surrounded by real estate for the last decade, Mersini offers sound knowledge and customer service which is a cut above the rest. Having a great range of qualifications such as Business Administration, Information Technology and Real Estate, Mersini has been the backbone in building and creating the systemised database and environment for the office, which are key elements in our office success. With an eye for attention to detail and precision, Mersini also strives to always make sure that the office runs like a well-oiled machine. Continually reinventing herself, Amanda strives to shine in every area of the business. Working alongside with Matt Sergeant, they are consistently an award winning team. Amanda understands that good working relationships need the utmost care and consideration, to develop clients for life. She strongly values our client’s goals and feels it’s important for them to be a part of the exciting experience. Her service standards ensure the marketing is done effectively, the detailed administration segment isn’t over looked and she is determined to get the vendor the best possible price. Understanding the different kind of buyers in the market place and ready to negotiate until late into the night. Amanda is a reliable agent and continues to push the limits. 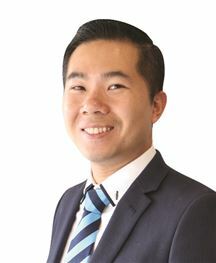 Amanda Luu and Matt Sergeant are very experienced with Auction Sales, Tender and Private Treaty campaigns, Mortgagee Sales, Public Trustee, Deceased Estates and Separation Sales. With a passionate excitement towards developing his natural talent in the real estate industry, Jordan is dedicated to providing the best results for his clients. With a sound awareness of the property market and investment sector by the age of twenty, Jordan’s passion for the real estate industry started when he purchased his first property at this time. Having already experienced the transaction personally, Jordan can pass on great knowledge that has developed his skills further by adding value through calculated strategies to ensure your property receives the best market exposure and premium promotion. Having grown up in the Northern suburbs himself, Jordan is excited and proud to assist you with the sale or purchase of your most valuable asset. Jordan is a lifelong supporter of the Liverpool Football Club and is a member of Adelaide United Football Club. Music, sport and his family help him to unwind and experience life for what he believes in – FUN! Joyce Iannella is a Sales Consultant with Harcourts Sergeant Property. With almost 25 years of experience in Real Estate, Joyce has seen a lot of market and industry changes. However the most important point when selling Real Estate does not change and that is the high level of service and commitment to her valued clients. Past clients have often commented on her professional manner, patience and persistence. She regards the trust her clients place in her a privilege and a pleasure. Call to arrange an appraisal of your home, she would be pleased to help you too. Paul is a young and exciting agent with enthusiasm and energy to burn, with a mother and father in real estate you could say he was born to sell properties. Coming from a competitive sporting environment Paul takes the lessons he has learnt (hard work, passion and teamwork) and turned it into his work standard in the competitive world of real estate. With a background in retail Paul has developed great social skills and problem solving skills making him a natural negotiator and is always working hard to get you the best results. Paul’s role is a sales associate and buyer manger to Matt Sergeant, Matt has him in contact with buyers looking for a wide range of properties, making him a true asset to the team and any of the Sergeant Property vendors. Paul is a strong believer in service, service, service! The most important thing is communication “call me at any time as I am always happy to speak with a client or buyer in need”- Paul. With a poised and gracious attitude, Kath is a pleasure to have within the Harcourts Sergeant Property office, always willing to assist with a smile as your first point of contact, whether greeting you on the phone or upon arrival. After taking time off to have her son, Kath was looking for a new challenge in a corporate environment, having great people skills and an understanding of the customer service industry, her attention to detail and office follow up gave her a head start in moving forward. Kath role is co-ordinating the marketing, web site management, putting together brochures, sign board artwork and general day to day running’s of the office.